Portable ultrasonic flow meter is an kind of portable ultrasonic flow meter which provide strap-on volume flow measurement by utilizing ultrasonic clamp on sensing technology. The flow sensor of portable flowmeter is installed outside the external pipe surface and flow rate in closed full pipe. 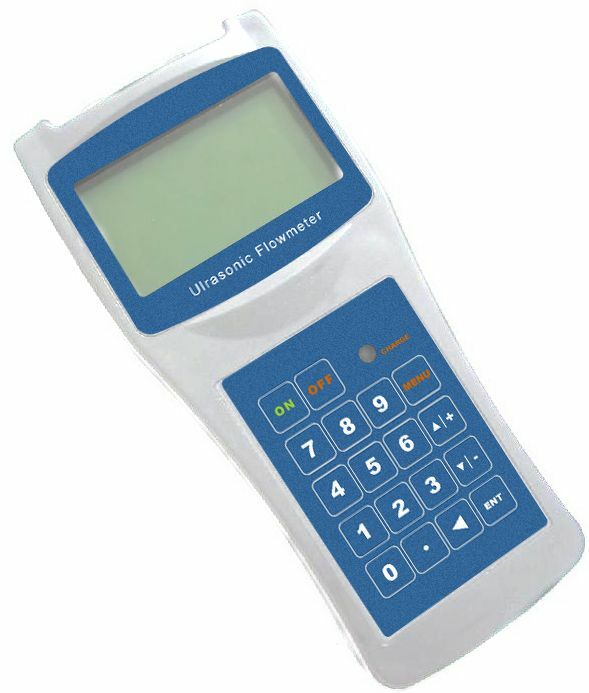 Portable ultrasonic flowmeters are usually battery powered and have built-in data logger or built-in mini printer. As it is portable type which means the flowmeters should be easily carried out to test flow on different spot application, thus, a solid protecting case should be supplied with it,and meanwhile, the weight shouldn’t be too big and in this aspects, our handheld flowmeter is the typical member. Portable ultrasonic flow meter( handheld flowmeter) is comprised of there main parts: main electronic converter, transducer cable with quick connectors and clamp on flow transducers. Except the three parts, several other necessary parts are also included,e.g. protection case(metal material or ABS material), power adapter,tape ruler,communication wire(RS485 or RS232), fixed strain of transducers,grease for transducers, etc.In order to ensure good quality and long life, we will provide these parts from strong suppliers even though they are just parts. Less quality parts also reduce the product experience. Handheld portable flow meter has compact small size body and can be held by a hand.It is the main selling portable ultrasonic flowmeter with high cost-effective feature. The flow meter has a built-in data logger which can store over 2000 lines of data. With RS232C port, the storing data can be exported to PC for further process by our data logger software. It has a bigger display screen of 4 lines. With built-in battery pack, it can work over 10 hours after fully recharging. Comparing with standard portable flow meter, handheld portable flow meter is a high cost-effective solution. 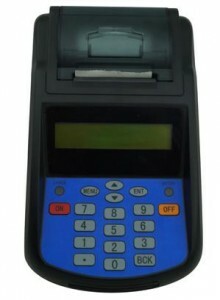 Built-in SD data logger is optional and can support SD card from 1G-8G. The data is stored at TXT file and easily processed by various programs in PC. With bigger power battery pack, portable flow meter can work over 20 hours after full recharging. The portable flow meter is equipped with RS485 port and can support standard Modbus protocol. 4-20mA output is optional as request. Equipped clamp on temperature RTD, the portable flow meter can be functioned as portable ultrasonic heat meter. For the selection option of both meters, handheld ultrasonic flowmeter is firstly recommended if it can’t meet the requirement because it has a high-cost effective solution. If need longer battery working time or larger data storing capacity, standard portable ultrasonic flowmeter is a better choice. The typical application of portable ultrasonic flow meter is used for water flow measurement and comparison. The water mainly contains clean water,drinking water,sea water,salty water, potable water, deionized water,mild sewage,etc. Our portable flow meters have been widely used in water treatment and water monitor,and many water companies have selected our portable ultrasonic flow meter as their indispensable measurement devices. Thus, the portable flow meters are often called as portable water flow meters. Of course, the portable ultrasonic flow meters can also measure other liquid,not just water only.